We’ve been keenly following the career trajectory of 18 year old Sydney singer songwriter John Rowley for a little while now. And while there have been plenty of baby steps towards ultimate global stardom, two ‘Big Song’ features on the almighty ‘Popjustice’ within the past year have seen the public’s interest piqued. He’s a pop nut – that much we know – and has been actively promoting the pop cause for a number of years. But now he’s trying his hand at the pop game from the other side of the spectrum – and with altogether amazing results. 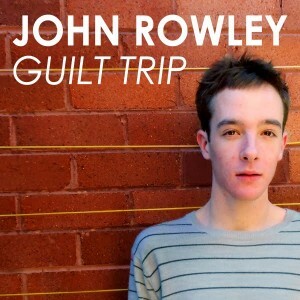 The most recently released track is entitled ‘Guilt Trip’. It’s very British in sound – almost recalling early Pet Shop Boys – but it’s filled with very ‘now’ pop sensibilities, a smooth indie-pop vocal and a sincerely likeable vibe. If you haven’t already, you might want to check John out HERE, HERE and HERE.